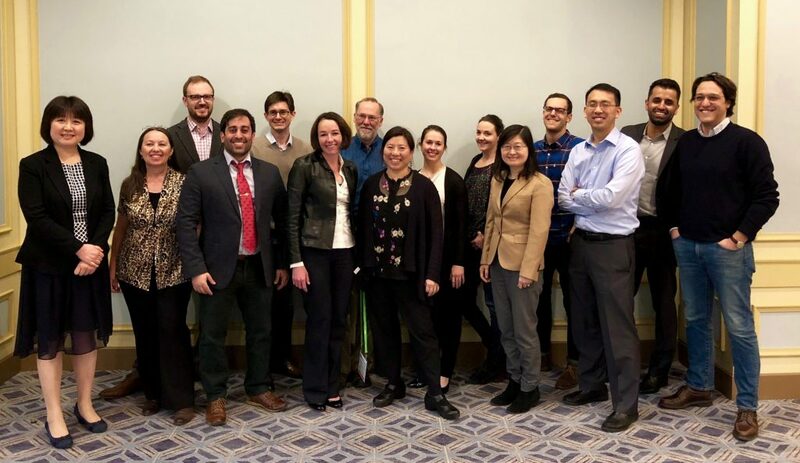 “I just struck up a collaboration with Matt Spitzer,” Liang Deng of Memorial Sloan Kettering Cancer Center said of a fellow researcher and peer at UCSF, as we wrapped up our inaugural Young Investigator Retreat. And this is exactly the type of outcome we had envisioned for the day. 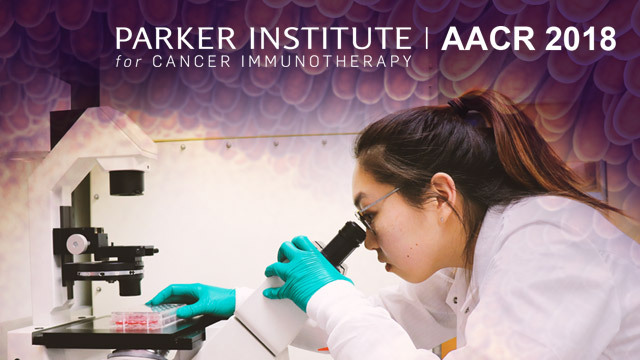 The Parker Institute for Cancer Immunotherapy is dedicated to training the next generation of leaders in cancer immunotherapy, and this retreat is a new avenue we’re using to foster collaboration among these rising stars. We kicked off the day with a series of short “speed dating-like” presentations. 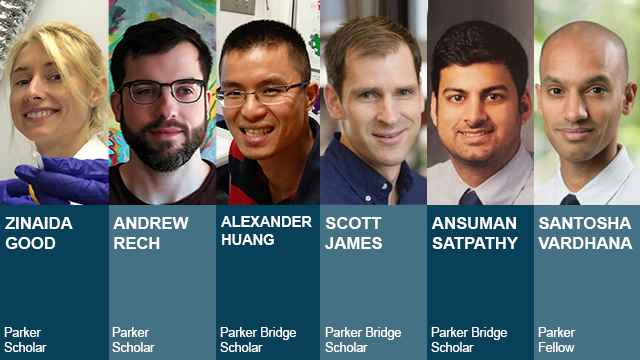 Each investigator shared key insights on their research to spur dynamic discussions on topics from understanding immune responses to cancer using single-cell analysis to decoding t-cell exhaustion in human cancer. Next, we heard from Nadine Defranoux, a program manager at the Parker Institute, who gave an update on our Tumor Neoantigen Selection Alliance that aims to identify the best algorithms to predict which cancer neoantigens can be recognized by and stimulate an immune response. Nick Bayless, a Parker Institute research scientist, also gave an overview of our Informatics team and highlighted ways the researchers could collaborate with us. After lunch, our guest speaker, Catherine Wu, MD, a Parker Institute researcher at Dana-Farber Cancer Institute, shared her journey in cancer research and highlighted her work in personalized cancer vaccines. She also gave advice on the importance of mentorship and networking, and how they helped shape her career. And although the day ran long, the investigators stayed engaged until the end, asking insightful questions and discussing the opportunity for thoughtful collaborations. We talked with our young investigators to learn more about what inspired them after spending a day with their peers. Here’s what they had to say. 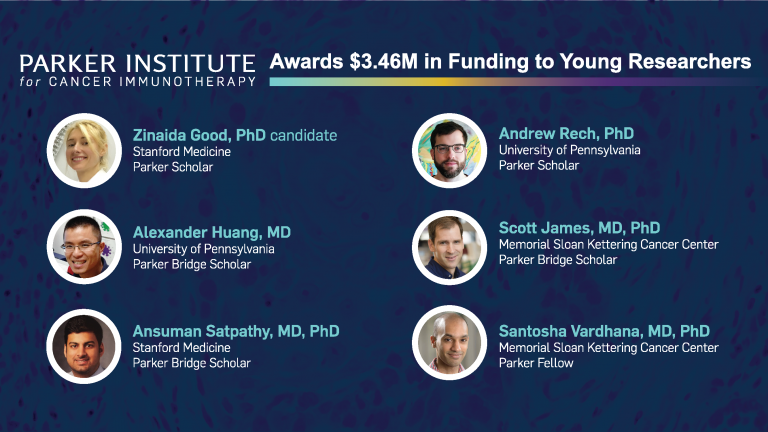 Learn more about how we’re supporting young investigators in cancer immunotherapy.